A sequel to award-winning bestseller The Vintner’s Luck. Boomtown Los Angeles, 1929: Into a world of movies lots and speakeasies comes Xas, stunt flier and wingless angel, still nursing his broken heart, and determined only to go on living in the air. But there are forces that will keep him on the ground. Forces like Conrad Cole, movie director and aircraft designer, a glory-seeking king of the grand splash who is also a man sinking into his own sovereign darkness. And Flora McLeod, film editor and maimed former actress, who sees something in Xas that no-one has ever seen before, not even God, who made him, or Lucifer, the general he once followed — Lucifer, who has lost Xas once, but won’t let that be the end of it. 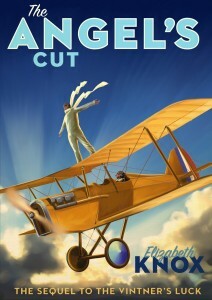 As with her previous angel book, The Angel’s Cut contemplates the big questions. But this time, Knox immerses us in a more familiar historical milieu, the nascent Hollywood film industry. The book contains characters we instantly recognise from 1930s movies, from wisecracking gals who can hold their liquor and their fellas, to careless, fast-talking, wild-driving young men: all of them deeply flawed, fascinating and living life as if it might end at any moment. The immortal angel Xas should be repulsed or at least exasperated by this excess. But it’s the passion, exuberance and irrational joy of being human that Xas (and Knox) plump for every time. Knox’s 1998 bestseller, The Vintner’s Luck, is a category-obliterating tour de force: a literate fantasy, a theological love story, a New Zealand novel set in 19th-century France. It’s a delight on every level and it needs a sequel the way the Moonlight Sonata needs a heavy metal version. So why saddle it with one? The only good answer to this question is a sequel so good it sits on the original not like a saddle, but like a halo; and that is the answer Knox provides. …This is a novel Knox has been moving towards writing her whole career. I’m glad she didn’t get to it earlier, because good as her writing has always been, it’s got better. No New Zealand writer has a stronger lyric gift than Knox; she can make language sing, and at the same time she studs her prose with complex metaphors that expand and enrich the world they describe. 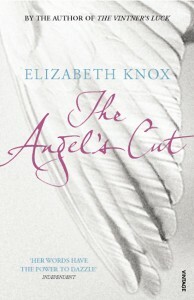 The Angel’s Cut offers aching loss with deftness and wistfulness. It is the kind of novel that elicits a sigh at its dénouement. This must surely be one of the books of the year.